I returned to the Student Union to turn in my paperwork and meet up with Diana and Maryann to head out to the Adams Mills Restaurant for an early dinner. I gave Maryann the address of the restaurant so she could program it into her smart phone's GPS, then we went our separate ways to retrieve our vehicles and drive to the restaurant. Thirty-five minutes later, I arrived at the restaurant. Diana's car was already there, but Maryann's car was not. I went inside, found Diana seated in the upper dining room, ordered a drink and we bided our time until Maryann showed up. Forty-five minutes later, we gave up on Maryann and ordered our meals. Our male waiter referred to us as ladies and he could have not been nicer. I ordered baked stuffed shrimp with rice pilaf and grilled vegetables. The meal was delicious. We left the restaurant around 5:30 PM and I headed in the general direction of home. Google Maps indicated that the route I normally take was a mess on the west side of Hartford, which is typical for a weekday evening. The alternate southern route was not so messy, so that's the route I took. There were a couple of areas where the traffic slowed down, but in general, it was not bad and since I was in no hurry to go home and had gotten my second wind after eating, I decided to visit my favorite Roz & Ali (nee Dress Barn), which was located only a few exits further than I normally would exit to go home. Entering the store, I did not see any of the sales reps I knew by name and vice versa. This did not surprise me because they usually work days, but I was hoping one of them would be working later so I could see and greet them, but it was not to be. 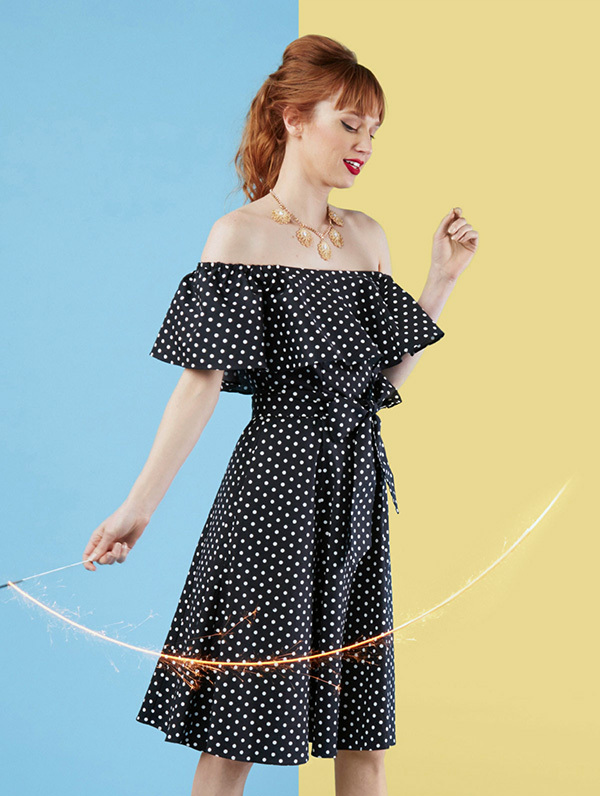 I had received a $10 Roz & Ali coupon in the mail for my birthday that I had to use by the end of the month and I had recently taken notice of a polka dot jumpsuit on their website, so it was a perfect shopping storm. I found the rack containing the jumpsuits (see the photo above) and took a size 12 and size 14 to the dressing room. The size 12 fit perfectly, so I returned the 14 to the rack and took the 12 to the cash registers. The sales rep asked for my phone number, typed it into the terminal, which I assume turned up separate accounts for my wife and myself. "And you are... ?" she asked. As expected, she did not react negatively and rang up my purchase. And that's all I have to say about that. During the 30-minute trip home, I reflected on my full femme Friday and felt that it had been very fulfilling and I look forward to more days like it. I plan to wear the jumpsuit on my road trip to Hamvention! Polish girl? Część Druga? 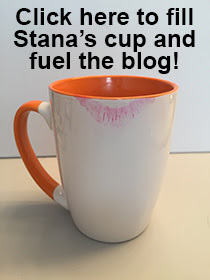 Stana, do you have polish roots? My four grandparents were born in Poland.